Welcome to the American Society of Civil Engineers - Acadiana Branch website. 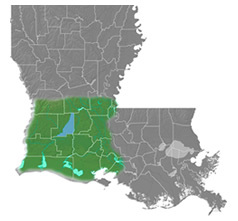 The Acadiana Branch was established in 1982 to serve ASCE Louisiana Section members in central and southwest Louisiana, also known as the "The Crossroads" and "Cajun Country," respectively. These and the surrounding areas have been collectively recognized by the state legislature as the Acadiana region. Together with other members of the Louisiana Section, we advocate ASCE's mission by serving as a liaison between civil engineering university students and the professional community, through community involvement, and through sponsorship of continuing education seminars. Sponsorship renewal is now open. To become a sponsor, or to renew, please click here. Ponti. Guests are welcome. Free for Students.